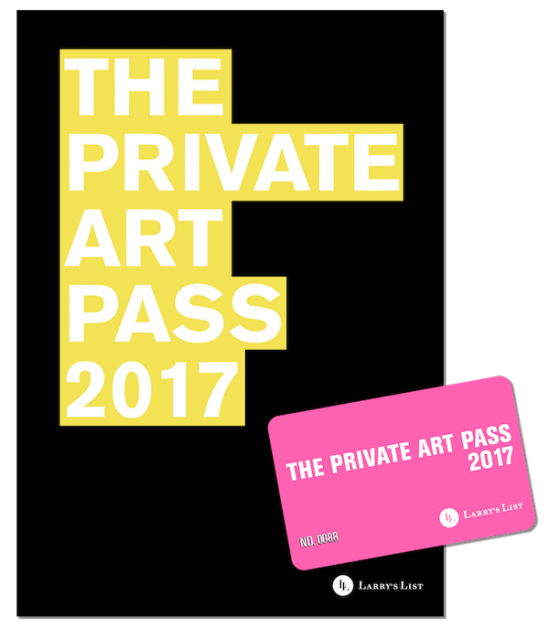 Larry’s List is proud to launch THE PRIVATE ART PASS 2017. THE PRIVATE ART PASS is initiated to create stronger ties between private museums, the global private collector scene and selected public institutions by granting privileged access to over fifty institutions and art fairs around the globe. Download the the official press release here.